This feed contains all of the information that your artists' supporters are interested in, such as upcoming gigs, locations, show times, etc. You can add the feed of your entire roster, including all the bookings/show dates of your artists, or you can just add the feed of a particular artist to a public calendar. This feed contains private information such as fees, internal comments, contacts etc. - the information that's only meant for you, your agency and your artists. It can be added to your artists' or your private calendar(s) so that you can all keep track of upcoming gigs, fees, etc. NOTE: In this example we'll add the feed of a particular artist from your roster. To add the feed of your entire roster, you'll find the URL at your Agency Overview under "PUBLIC WEBPAGES / CALENDAR FEEDS". Simply follow the same steps as described below. From your Dashboard, go to the drop-down menu and select "ARTISTS". Now choose a particular artist and select the "PUBLIC WEBPAGES / CALENDAR FEEDS" card. 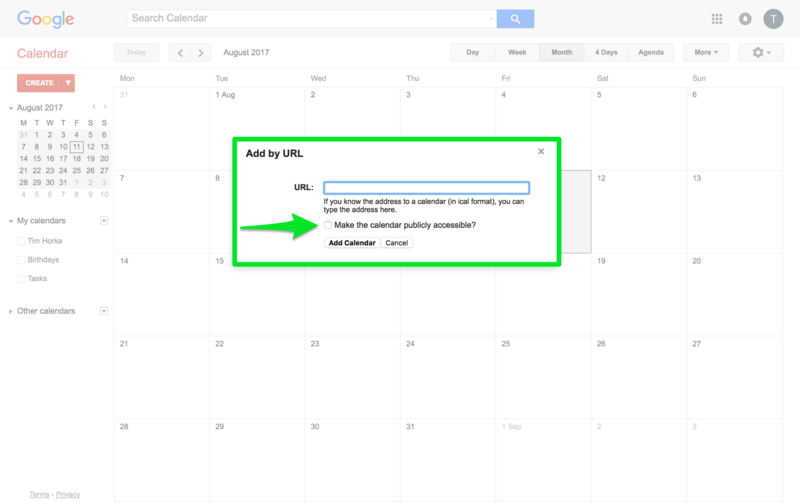 Click on the "PUBLIC CALENDAR FEED" or the "PRIVATE CALENDAR FEED" depending on which URL you wish to copy. 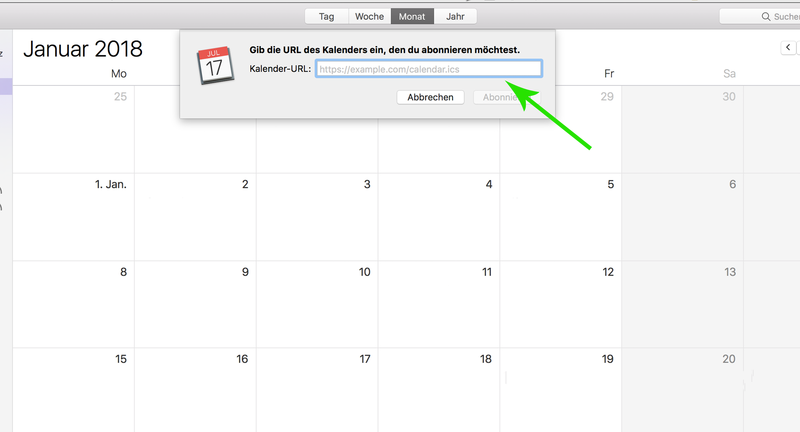 Now open your Mac Calendar and use the alt+cmd+s combination. Now paste the link to your calendar into the pop-up field and "Confirm". 2. 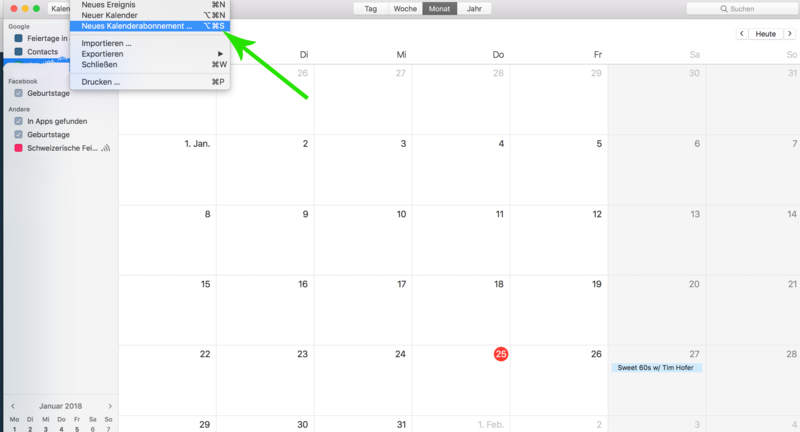 On the left side, find “Other calendars” and click the down arrow on the right side. 3. Select "Add by URL". 4. 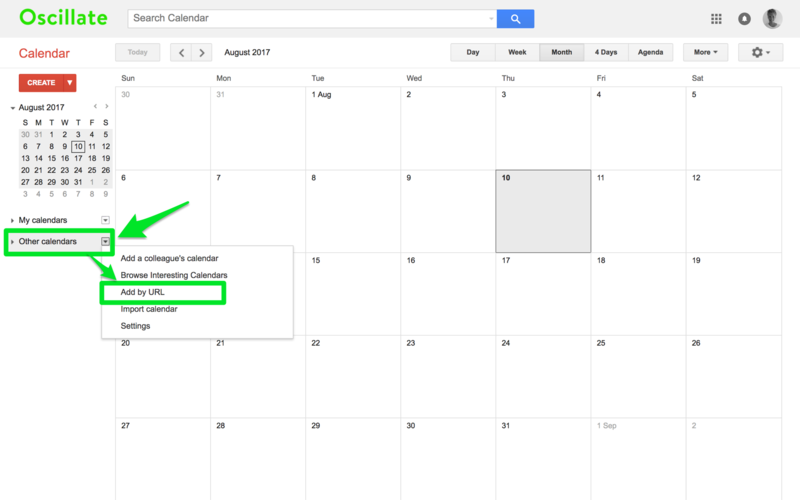 Enter the calendar’s address (the Optune "PUBLIC CALENDAR FEED" URL) into the field provided. Before you press enter, make sure the box “make public” is NOT tagged. 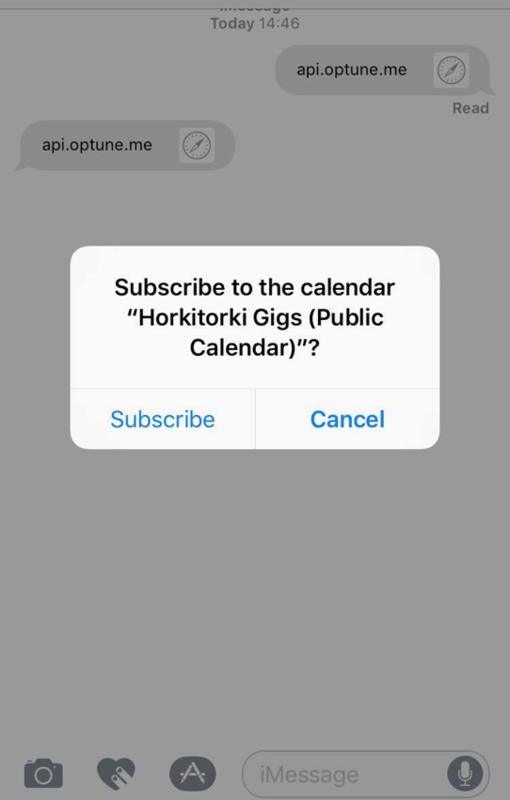 Using your iPhone, go into your Optune account and copy the URL for the "PUBLIC CALENDAR FEED" or the "PRIVATE CALENDAR FEED". You'll be asked if you want to subscribe to the calendar. Click "Subscribe". The feed should now be displayed in your iPhone Calendar.